Hubbell-Wiring SystemOne Cover plate is suitable for using with 2-, 4- and 6-Gang floor boxes. 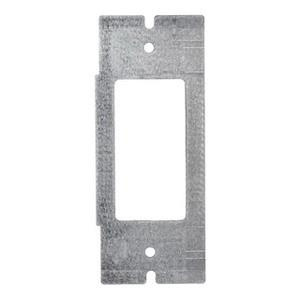 Rectangular cover plate in zinc plate finish, features 16-gauge stamped steel construction. Cover plate comes in one decorator configuration. This cover plate is screw mountable. Cover plate is UL listed and CSA certified.